My teenage son has taken a keen interest in healthy eating, and as part of this, he has started growing his own sprouts. I remember there was an issue with raw sprouts a few years ago. Are they safe to grow and eat? It’s great that your son is interested in eating more healthfully, and if you do any home gardening, you know how inspiring it is to grow and enjoy your own food. But raw sprouts do have some inherent issues related to food safety. In the last 20 years, there have been at least 30 outbreaks of foodborne illness associated with different types of raw and lightly cooked sprouts. A 2011 outbreak from fenugreek sprouts in Germany made thousands of people ill and was linked to 50 deaths. Most sprout-related outbreaks are caused by Salmonella and toxin-producing E. coli, and often the bacteria is traced back to the seed. And therein lies the problem: The warm, moist conditions seeds need to sprout into, well, sprouts, whether at home or in a commercial facility, are also exactly the type of conditions bacteria need to multiply rapidly. And since any bacteria on the seed is incorporated into the sprout, you can’t even partially remove it like when you rinse other types of produce under running water. 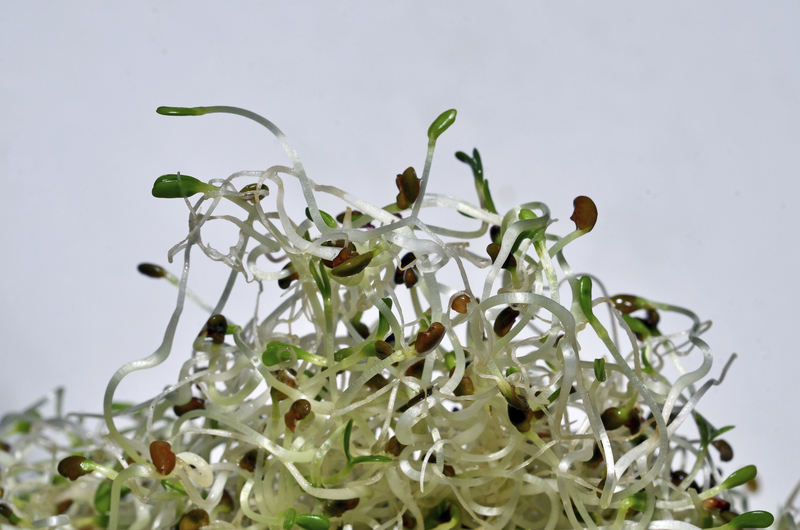 The opportunity for problems to arise is great enough that public health authorities urge anyone who is at greatest risk of foodborne illness, including children younger than 5, the elderly, pregnant women or anyone with a chronic health condition such as diabetes or cancer, to refrain from eating raw sprouts all together. If your son is otherwise healthy, the sprouts he grows may not pose a serious health risk. But it might be wise to be on the lookout for signs of foodborne illness, which can strike anywhere from few hours up to eight days after ingesting the bacteria. Symptoms include cramps, diarrhea, fever and vomiting. In addition, encourage your son to reduce the chance of illness as much as possible by following recommended practices. The University of California has a fact sheet, “Growing Seed Sprouts at Home,” online at anrcatalog.ucanr.edu/pdf/8151.pdf. It includes detailed recommendations for buying, treating and growing sprout seeds to minimize risk. For example, the fact sheet spells out how to soak seeds in a hydrogen peroxide solution, followed by rinsing them and soaking them in clean water. At that point, you can remove any debris or other seed material that floats to the surface — an important step, as, the fact sheet says, most contamination has been tied to that material. The authors also emphasize the need to carefully sanitize the containers used for sprouting the seed and provide thorough instructions for doing so. However, even with carefully following the steps outlined in the fact sheet, be aware that there is still no way to guarantee the safety of raw sprouts that are contaminated prior to germination. For more information about food safety, see foodsafety.gov. Editor: This column was reviewed by Sanja Ilic, food safety specialist with Ohio State University Extension. 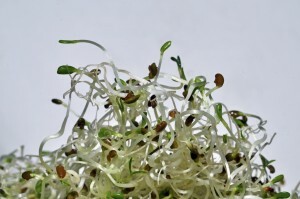 Posted in Food and Health, Food Safety	Tagged alfalfa sprouts, sprouts	Bookmark the permalink.